Welcome to the Taco Bell Customer Experience Survey. We value your candid feedback and appreciate you taking the time to complete our survey. 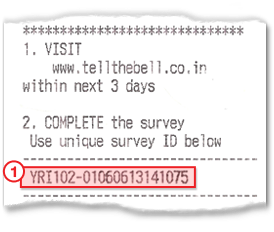 To begin, please enter the following information from your receipt. © 2019 SMG. All rights reserved.